There are many ways to take care of our skin and make it stay great, flawless and smooth. The most important thing is to practice it daily and if possible make it a habit. The normal: not too dry and not too oily. This type if skin had no imperfections, no severe sensitivity, barely visible pores and the best part of all more radiant looking skin. Apply healthy diet which includes fruits and vegetables. When using cosmetics, make sure that you wash off when done using it. 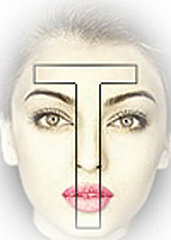 Massaging face with upward and circular movements. The oily: most teenagers have this type of skin.as they are going through puberty. It can worsened by having hormonal imbalance, or when exposed to heat and humidity. Avoid eating oily food and fatty foods. Avoid facials as massing can worsen the skin. Splashing cold water over face acts like a natural toner. The dry: dry skin can be made worsened if exposed to dry factors. Some factors include genetics, age, hormone, weather, UV radiation, and skincare ingredients in soaps. Dry skin can produce almost invisible pores, dull, rough complexion, less elastic and visible lines. When taking a shower or bathing, do not scrub or dry. Apply moisturizer right after bathing and it can be continued throughout the day. Applying lotions and ointment are other options. Wear gloves when doing household chore especially when handling solvents and cleaning agents. When staying indoors, you can use a humidifer so that the temperature does not get too hot. The combination: dry or normal in some areas or oily in some areas. 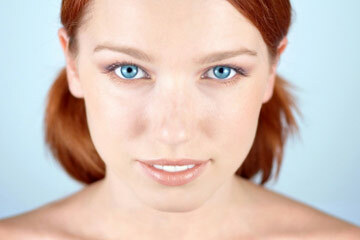 Most people have this skin type and can benefit from different types of skincare. This type of skin can have overly dilated pores, black heads and shiny skin. For the oily parts of the face, treat them as you treat the oily skin type. Use oil free cosmetics and wash your face regularly. For the dry parts of the face, it is also similar to the tips for taking care of dry skin like i mentioned above. The sensitive: if this is your type of skin, you should find what the cause is. 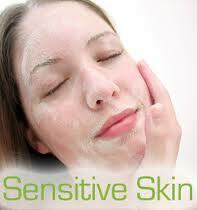 This skin type like the name is sensitive to wrong use of cosmetics or products used on your face. Face cleanliness is important as this type of skin can have a bad reaction to dust and dirt. Washing your face daily and removing all the make up before going to bed is the best practice daily. Mosturizing keeps the skin moist at all types however you need to know the right type of mosturizers that is perfect for your skin. Avoid using too much makeup as the chemicals that you put on your face can worsen the skin. Avoid touching your skin as there are all kinds of germs on your fingers that causes the skin to breakout. Collagen is a group of natural occuring proteins especially in mammal's flesh and connective tissues. It is fibrous in nature and connects other bodily tissues such as the skin, bone, muscles and tendons. We have more than 25 types of collagens in our body as it makes about 25% of the total proteins in our body. In general, they serve within the body to a large extent for the maintenance of the structural integrity of tissues and organs. Almost all the connective tissues, bone and cartilages needs collagen to provide the major functional backbone of their structures. It serves important mechanical functions within the body especially in connective tissues. Collagens also have an important role in the cellular microenvironment as it is involved the release and storage of growth factors in our body. So, because of their roles in our body they are a part of any repair process of connective tissue whether occurring naturally, like during fracture healing or following treatment of bone non-unions after trauma, tumor surgery or of cartilage defects. Since we are talking about skin health, the most interesting function of collagen is that it is biodegradable with low immunogenicity and the possibilities for large-scale isolation make them interesting compounds for a widespread industrial use in medicine, cosmetics and even food industries. Shaklee Collagen Powder is the ultimate collagen supplement consists of 4,000 mg proprietary RSS (Red Snapper Scale) Collagen, a pure and high quality collagen extracted from the scales of Red Snapper. Shaklee�s extremely low molecular weight collagen, at approximately 1,000 Dalton*, is easily absorbed by the body and helps to boost the collagen synthesis at the dermis layer effectively.